OH MY GOD! All of our geeky dreams are coming true! 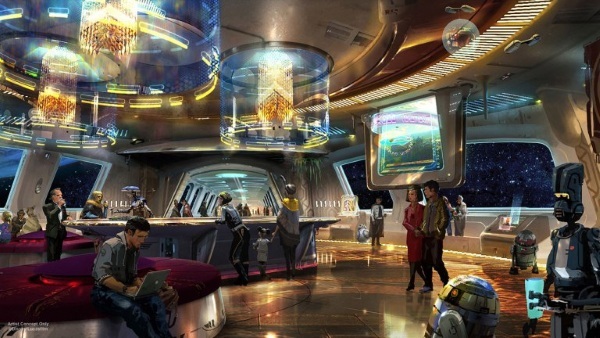 Disney has teased that it’s opening a Star Wars resort that will make you part of the story. This hotel won’t just be a place to sleep while you’re in between Disney fun times, it will be a fully interactive experience. According to Disney, guests will be given their own story lines and cast members (what they call the people who work at Disney) will be in costumes to help play along. The windows will feature nothing but views from space to increase the feeling that one is inside of a real space station. I wonder how in depth this will be. Can you be woken up in the middle of the night to save the universe? Will someone knock on your door to start your patrol shift? What will these stories be? We don’t know yet but this is a very cool concept. The hotel will be located in Florida at Disney World.